v0.4.0 and a New Tutorial! Hey there! Here comes another update to ct.js. 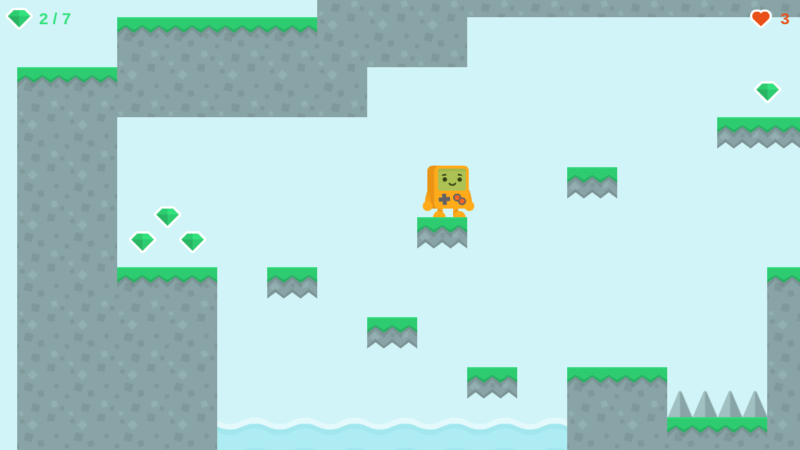 It also contains a new tutorial on how to create a simple platformer! It is different from the Greed demo, though, so check it out! A notable change is the internal debugger. It also has handy QR codes so you can test your games on mobile devices that are in your local network. Another improvement comes to tiles. They got faster, layers can now be hidden or moved to a new depth, and a new method ct.place.tile comes, that allows you to test collisions between copies and tiles! An updated Greed demo already uses it. Level design got much more easier! The whole room editor got a bit better. You can now move around by holding the middle mouse button and spawn multiple copies or tiles at once by holding the Shift key. Some more good news is that ct.js is now capable of turning ES6 to ES5, so your games are now more widely supported. Happy coding for you all! Below goes a list of all the changes. Room editor: Fix Shift and Ctrl modifiers working after a context menu was called. Prevent clipping of sprite sheet settings at graphics editor on smaller screens. Move collision shape show/hide control to the left column. 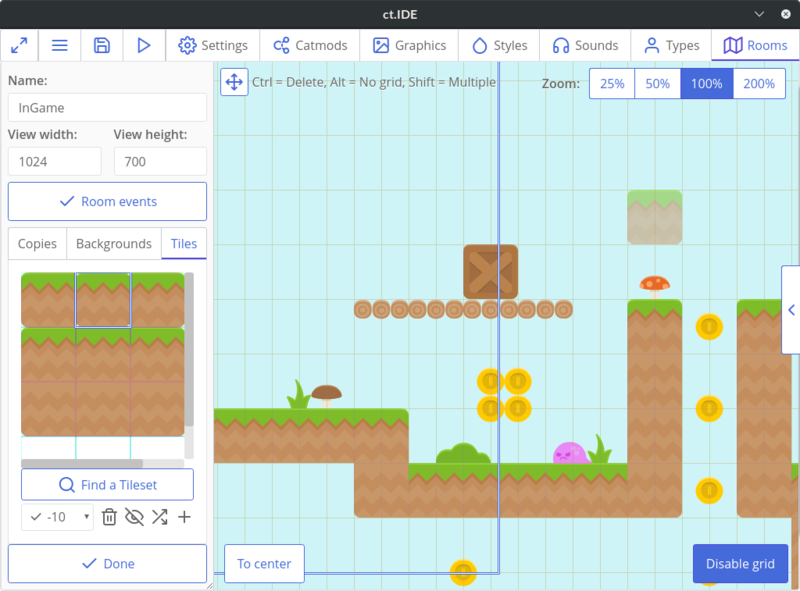 Create cool 2D games with a free game editor! ct.js v1.0 Next — New Alpha Channel Comes with WebGL support! v0.5.0 — Blazing-fast ct.place, game packer, code completions and more! v0.3.1 — hotfixing blocking bugs and bringing an experimental tile editor!